Breastfeeding does not adversely affect the baby if you have gestational diabetes. If the blood sugar in gestational diabetes is poorly controlled the risk of childhood obesity increases. Even in women without gestational diabetes, breastfeeding has several health benefits for both the mother and baby. A mother’s major concern is her baby’s health. If she is has a condition which can affect her baby’s growth and development in the womb she will naturally be concerned if she should breastfeed her child? Whether breastfeeding will adversely affect her child? A mother’s major concern is her baby’s health. If she is has a condition which can affect her baby’s growth and development in the womb she will naturally be concerned if she should breastfeed her child. Whether breastfeeding will adversely affect her child? No, breastfeeding does not adversely affect the baby if you have gestational diabetes. Even if you have gestational diabetes you should breastfeed your baby. It has several health benefits for both for you and your baby. Some other metabolic complications like low calcium (common in more severe cases of gestational diabetes). If you start breastfeeding early and feed the baby frequently these complications can be minimized or even prevented. According to research breastfed babies of diabetic mother’s are admitted less often in the Neonatal Intensive Care Unit. Breastfeeding may protect your baby later in life form obesity and Type II Diabetes. Breastfed babies of mother’s with gestational diabetes have healthier glucose metabolism and less insulin resistance. Breastfeeding provides both short-term and probably in the long-term advantages. 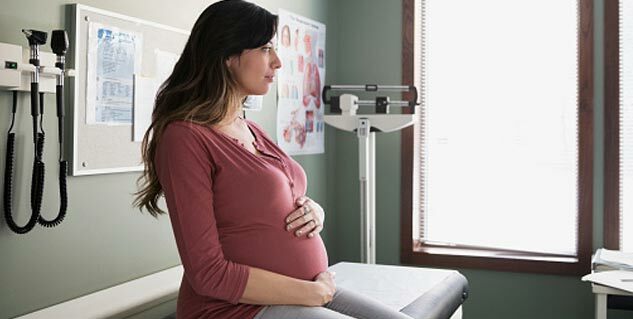 Gestational diabetes has been shown to increase your future risk of impaired glucose tolerance and developing Type II Diabetes (NIDDM). Breastfeeding tends to return to your glucose tolerance to normal faster than non-breastfeeding mother’s with gestational diabetes. Breastfeeding can probably decrease your risk of developing Type II Diabetes later in life. All these advantages of breastfeeding for you and your baby make it especially important if you have had gestational diabetes. Breastfeeding is the recommended method of feeding all babies in the first and second year of life. Even in women without gestational diabetes, breastfeeding has several health benefits for both the mother and baby. 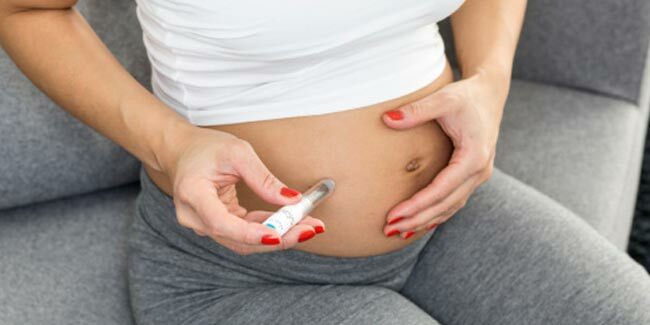 In women with gestational diabetes there are even more important benefits. Breastfeeding can lower the risk of ovarian cancer, some types of breast cancer, and type 2 diabetes in all women. In women with gestational diabetes breastfeeding can help to control their blood sugar in the period soon after delivery. Breastfeeding for longer periods (more than six months) can help you to reduce your weight. Breast milk is nutritionally superior to artificial infant feeding products in all aspects. It is a tailored formula for human infant. Besides promoting growth and development it efficiently promotes brain and neurological development. Breastfeeding in babies has been shown to lower rates of asthma, ear infections, intestinal illnesses, eczema, and respiratory illnesses. Breastfeeding can probably reduce the risk of some cancers, juvenile diabetes, intestinal problems like Crohn's Disease, and type II diabetes. Breastfeeding cannot cure all the diseases in your baby, but when breastfed babies get sick, they usually tend to have less severe illness and the duration is usually shorter as compared to formula-fed babies. It lowers the risk of obesity in children of mothers with gestational diabetes. It can probably reduce the risk of developing diabetes later in life. Breastfeeding has amazing benefits for both the baby and the mother. It is the recommended feeding method considering the advantages it offers to the baby and mother. Following a healthy lifestyle like eating healthy and well balanced meals (with plenty of fruit, vegetables and wholegrain cereals, and low in fats and oil), and regular exercises. Children of mother’s with gestational diabetes are at higher risk of becoming obese and developing type 2 diabetes. If the blood sugar in gestational diabetes is poorly controlled the risk of childhood obesity increases. If gestational diabetes is not treated it almost doubles the child's risk of being obese by they time he or she reaches the age range of 5 to 7. Breastfeeding for longer than three months can decrease the risk of childhood obesity by as much as 50 percent. This makes breastfeeding in children of mother’s with gestational diabetes important as they are higher risk of developing type 2 diabetes later in life, and being overweight or obese is considered as the most important risk factors for type 2 diabetes. Breastfeeding after gestational diabetes lowers the risk of obesity or developing type 2 diabetes for both the mother and baby.